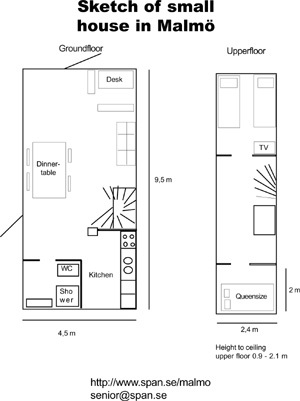 We have a small house in Malmö available for rent. beds that can be placed in the livingroom. a sketch of the house.There is also a bathroom with shower. 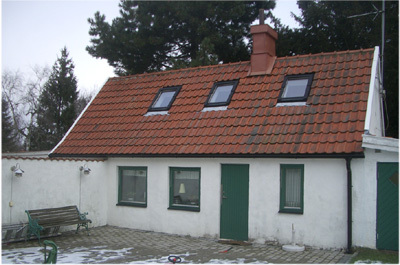 The owner lives in the main house over the garden, 10 meters away. TV and fiber broadband access in the small house. Contact senior@span.se for more information about availability. the house have previously been let on a longterm contract. most things can be arranged.